PENNSYLVANIA — The plaintiff’s decedent worked in Texas as an electrician from 1945 until 1989, and alleged exposure to asbestos from insulation that was incorporated into passenger railcars manufactured by Defendants from 1945 until the mid to late 1970s. Specifically, the plaintiff alleged that asbestos exposure from pipe insulation and “arc chute” insulation in the passenger cars manufactured by the defendants was a cause of decedent’s mesothelioma and subsequent death. 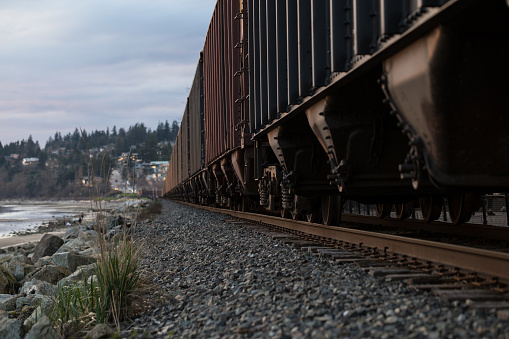 The railroad manufacturing defendants moved for summary judgement under the theory that the plaintiff’s claims were preempted by both the Locomotive Inspection Act (LIA) and the Safety Appliance Act (SAA). Judge Eduardo Robreno held that some of the plaintiff’s claims fell outside the jurisdiction of the LIA, and therefore were sufficient to withstand a preemption-based summary judgment motion. See Hassell v Budd Co., 2:09-CV-90863-ER, (ED Pa Apr. 5, 2019). The court concluded that none of the plaintiff’s claims were preempted by the SAA as it only pertained to specifically required safety equipment such as hand brakes and power brakes. With respect to preemption under the LIA, Judge Robreno held that exposure from the insulated steam lines that were a part of the passenger cars, but which ultimately connected to the locomotive’s steam engine, were properly preempted because under the LIA they would be considered “locomotive equipment”, which includes “locomotives, their tender, and all parts and appurtenances thereto.” Similarly, exposure claims concerning insulation lining the arc chutes that the decedent had encountered were also preempted since they were a part of the braking system. However, the plaintiff’s claims arising from decedent’s exposure to insulated pipes running through the passenger compartments, which were connected to a steam generator car, were not preempted by the LIA. The court held that the pipes connected to the steam generating car were used for heating the passenger compartments and since they were not directly connected to the locomotive engine, were not “locomotive equipment” subject to preemption. Only the Westlaw citation is currently available at 2019 WL 1497068.